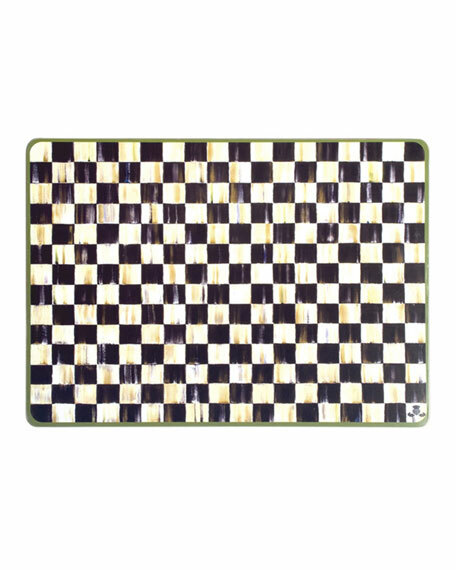 Signature Courtly Check print on hardboard. Backed with cork; lacquered finish for heat and stain resistance. Set of four; each, 16"W x 12"D.
Due to handcrafting, placemats and coasters may vary. Wipe clean; do not submerge in water.